Loosing a file due to accidental deletion or because the system has decided that it isn't going to work any longer can be a real nuisance. That is why utilities like NT File Recovery are so advisable. 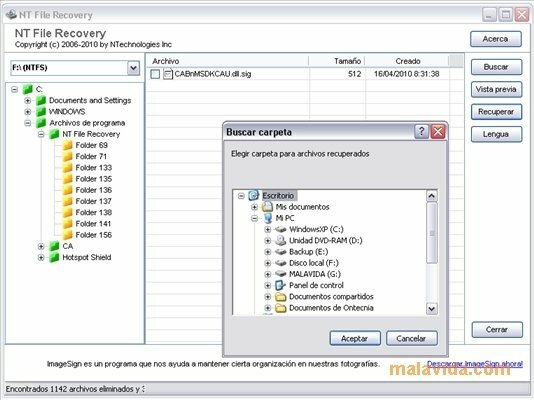 This software will take care of combing each and every cranny of the hard drive that will indicate in search of deleted files. This is possible, because when we indicate Windows to delete a file, it doesn't really eliminate it, it just marks that are of the hard drive as “available” that isn't the same as “deleted”. Thus, if the space has still not been used by anything, it may happen that we can recover the file that we want. 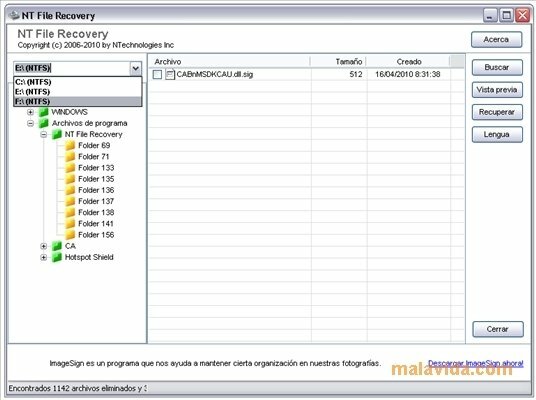 NT File Recovery will search through the whole hard drive showing a perfectly ordered list of the files that we will be able to easily recover. You do have to take into account that some times the recovered files are incomplete, because we have written over part of the file. 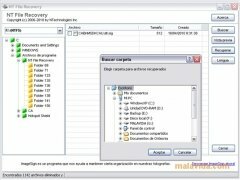 The program's interface is very simple, showing a tree with the folders where it has found deleted files that can be recovered. What's more, once we select the file, it is possible to preview it to make sure that it is exactly that file that we were looking for.